While a great deal of focus is placed upon sales and product production within many industries, it is all but obvious that should a machine or series of machines fail to function properly, the end result could be crippling for a growing Irish business. At Claddagh Oil, we realise that one of the most important components of successful day-to-day operations for any enterprise is making certain that all equipment is functioning properly. Therefore, we are one of the leading suppliers of industrial lubricants for a growing number of clients throughout Ireland. There are often times when a machine may suddenly cease to function while performing a critical task. Should this be due to a lack of sufficient lubrication, a lengthy amount of downtime can result in lost revenue. 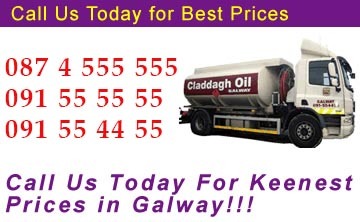 It is for this reason that Claddagh Oil endeavours to provide a reliable service that can be obtained six days per week. Furthermore, we will often supply the necessary lubricants on the same day that the request was initially made. This is due to our numerous depots that are located throughout Ireland. Thus, our customers can enjoy less downtime and their machinery can be up and running before production grinds to a halt and business suffers as a result. Also, our customers can book regularly scheduled appointments; this is a frequent requirement in industries that possess machines which will require regular upkeep and basic lubrication maintenance. Should timely servicing take place, it is less likely that a machine will suffer failure during the life of it’s operation. Not only will Claddagh Oil supply the required lubricants, but our trained technicians will also evaluate machinery based upon its age and usage. This will allow us to provide the most relevant recommendations in regards to which lubricants may help to further extend the lifespan of the units themselves. This can further contribute to cost savings over time while simultaneously reducing unnecessary wear and tear upon the machinery. This type of hands-on technical support is invaluable in ensuring that the day-to-day operations of any business will remain unimpeded. Furthermore, the return on investment (ROI) from using the correct oils and lubricants cannot be overstated. As we provide specialists that will offer on-site advice that will naturally vary from business to business, our customers can be assured that any recommendations made will reflect the bespoke requirements of their unique operational needs. These are some of the primary reasons why a growing number of commercial clients have chosen Claddagh Oil for all of their industrial lubrication and oil needs. For more information or to obtain an idea of what we can provide your company, please do not hesitate to contact us at 091 55 55 55.